What is the most money ever won or earned by one golfer in one year? If you've ever wondered the answer to that question here is the answer. 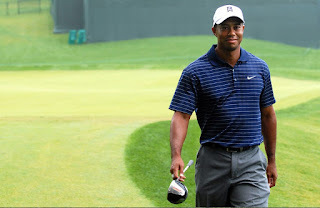 This article tells you the most money won or earned by one golfer in one year. A few notes first. The money listed here is only winnings for playing golf and does not include any endorsement money or other earnings for the player like appearance fees. The money listed is not just for winnings or earnings on the PGA Tour but for all money won on the golf course anywhere in the world for a year. From 2007 to 2013, the PGA Tour seasons took place entirely within one calendar year. Since 2014, the PGA Tour seasons start in October and end in September of the following year. This is important because the FedEx Cup Playoffs and its rich $10 million first prize started in 2007. So the player who has won of earned the most amount of money in one year had to win the FedEx Cup due to the huge $10 million prize. So from 2007 to 2013, all money earned by a player is over a calendar year and since then it's over the PGA Tour year from October to September. All money won playing golf is included counting earnings from unofficial money events on the PGA Tour. Hope you like the list. Over the year, Jordan Spieth earned $12 million on the PGA Tour in official money events. Spieth also earned another $1 million when he won the 2014 Hero World Challenge (in December of 2014) which is an unofficial money event on the PGA Tour. Jordan Spieth also won the Australian Open in November of 2014 for another $200,000 (converted from Australian dollars to US dollars at the November 2014 conversion rate of .866). Spieth also won the 2015 FedEx Cup giving him another $10 million. Add all that up and Jordan Spieth took home a total of $23.2 million which is the current record for the most amount of money won or earned by one golfer over one year for just playing golf on the golf course. During the calendar year 2007, Tiger Woods won or earned what was at the time most ever money by one golfer in one year of $22.4 million which is now the second most ever won by a golfer in one year. Over 2007, Tiger Woods earned $10.9 million on the PGA Tour in official money events. Tiger also earned another $1.35 million when he won his own Hero World Challenge (unofficial money event on PGA Tour) and Tiger Woods earned another $140,000 for a 3rd place tie at the European Tour's Dubai Desert Classic. Tiger Woods also won the FedEx Cup in 2007, giving him the rich $10 million bonus in the first year it was offered. Add all that up and you get $22.4 million. During the calendar year 2009, Tiger Woods won or earned $21.2 million which is the 3rd most money ever won by one golfer in one year. Over 2009, Tiger Woods earned $10.5 million on the PGA Tour in official money events. Tiger also earned another $258,000 for winning the JBWere Masters on the European Tour, $230,000 for winning the Notah Begay III Foundation Challenge and Tiger earned another $190,000 for a 6th place finish at the WGC-Champions (not a PGA Tour event at the time). Tiger Woods also won the FedEx Cup in 2009 giving him the $10 million bonus for the 2nd time in his career.